We live in the Anthropocene. The age of humanity. It is the period of Earth’s history largely shaped by human activity. Over roughly the last 10,000 years we humans have changed the composition of both the planet’s atmosphere and its oceans, radically transformed its ecosystems—driving many species to extinction in the process—and have even begun to alter our own biology. The transformation of the world is the result our collective activity but is not in its totality the product of some deliberate, careful plan. Our tremendous power to reshape the world gives us an opportunity to make it a better place or to do it great harm. Although the benefits of human civilization are obvious, human civilization has also had a host of serious unintended consequences. It is not beyond our abilities to destroy either ourselves or the planet that is our home. As the pace of change increases we have to consider as a species where we are heading. We can’t continue to use our power carelessly much longer. This blog will focus on the way we are transforming both the planet and ourselves. The Anthropocene is the informal geologic name for the period of Earth’s history in which human activities have substantially altered the planet’s natural ecosystems. 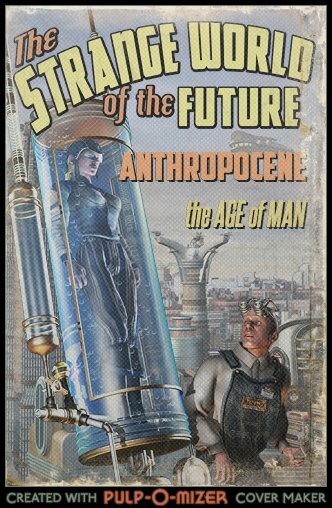 The biologist Eugene Stoermer coined the term “Anthropocene” in the 1980s. It gained currency after Nobel Prize-winning atmospheric chemist Paul Crutzen used it in an article in Nature in 2002. Robert de Neufville is the Director of Communications of the Global Catastrophic Risk Institute. He has degrees in government and political science from Harvard and Berkeley. He qualified as a “superforecaster” in IARPA‘s experimental Good Judgment Project forecasting tournament by being consistently among the top 2% of forecasters and was one the forecasters interviewed for Philip Tetlock and Dan Gardner’s book Superforecasting: The Art and Science of Prediction. He forecasts geopolitics for Good Judgment, Inc. He also hosts a podcast on forecasting called NonProphets (available on iTunes, Google Play, Stitcher, and Blubrry) with two other superforecasters. He was interviewed on The Future of Life Institute podcast about the risk of a nuclear war. He has contributed to The Economist, The Washington Monthly, and, The National Interest, and used to write the Politeia column for Big Think. His curriculum vitae is available here. Follow him on Twitter here. The header image is from a photo of Rio de Janeiro’s Rocinha Favela by Chensiyuan. The book cover image was created using the Pulp-O-Miser.